Finally the book that Abp Frank wrote quite a few years ago has now been published. Great mathematicians have stated that the whole Universe exists because of numbers....and that everything in Creation has a resonant frequency or vibration, whether it be light, sound or water...or ourselves. 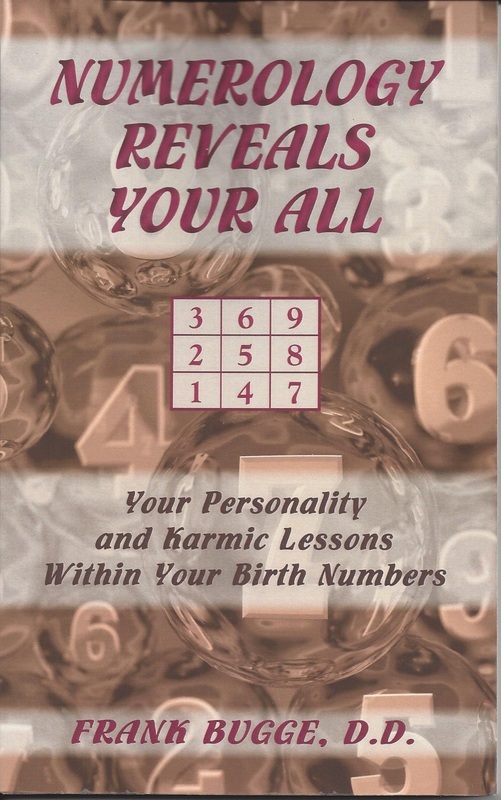 This rare system of numerology is for the primary purpose of getting to know one's self - to realise the shortcomings of our own personality, and help in overcoming them. 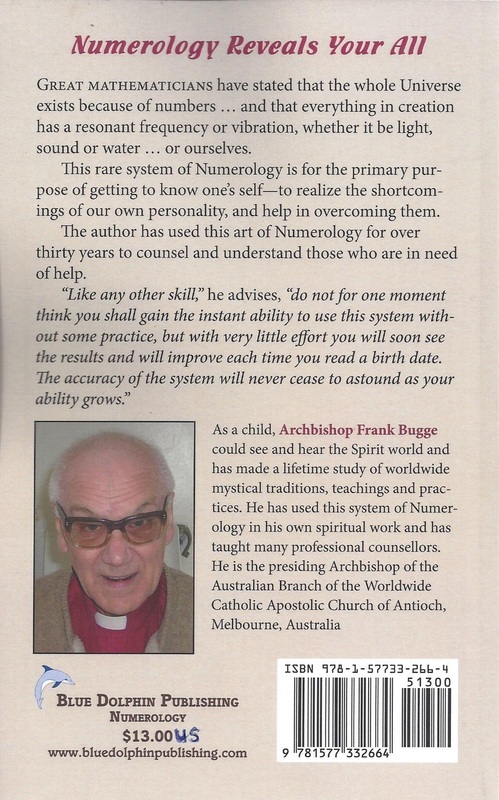 Abp Frank has used this art of numerology for over 30 years to counsel and understand those who are in need of help. "Like any other skill" he advises, "do not for one moment think you shall gain the instant ability to use this system without some practice, but with very little effort you will soon see the results and will improve each time you read a birthdate. The accuracy of the system will never cease to astound you as your ability grows". Reincarnation for Christians by Mons Jack Sweeley. Herein one can see evidence from Early Christian and Jewish Mystical Tradition. Reincarnation was an accepted belief by the great minds of antiquity. In Greece Plato was influenced by earlier classical Greek philosophers such as Pythagoras (sixth century BCE), while reincarnation was both believed and taught by Jesus and many Church Fathers through the eighth century, as well as in Hebrew texts and mystical traditions throughout the Middle Ages. In Reincarnation for Christians, Monsignor Sweeley proves that reincarnation was accepted by Jesus according to Holy Scripture, was accepted and taught by the Church Fathers as a doctrine of the faith, and is believed today by many Christians. Moreover, he makes clear why there is no conflict between the atonement of Jesus and Jesus as the redeemer of humanity, with the necessity of living many lives before we attain salvation. The Missing Years of Jesus by Dennis Price. This book, "The missing Years of Jesus, by Dennis Price" deals with actual artifacts and documents relating to the period when Jesus was between the years of twelve and when he was once again mentioned in the scriptures at the age of thirty. This tells of his time with the Druids, and artifacts include coins minted to his memory. Jesus the Master Builder by Gordon Strachan. This book, "Jesus Master Builder by Gordon Strachan" gives excellent reference to the likeness of measurements between Stonehenge and Chartres Cathedral, as well as other notable contructions in history. In this Epistle we see the normal stories within the bible, but we also see stories that occurred to Jesus that are NOT in the bible such as information about Jesus between the ages of Twelve to Thirty. These are NOT listed in the standard Bible. This places much more information at the readers disposal than the ordinary Bibles do. 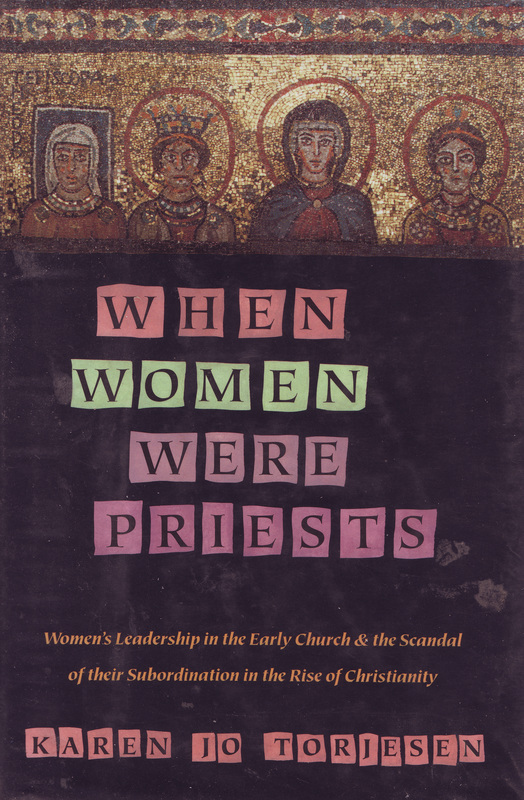 Some facts about when women were priests in the Roman Church long before they were outlawed by a misogynistic Pope in the fifth century AD. This outlines the lies of the Church to hide these facts that are now coming to the fore with the discovery of more ancient texts revealing the presence of Women in the clergy roles. The Beginning of Christianity by Andrew Wellburn. The beginning of Christianity by Andrew Wellburn deals with investigation into the beginnings through the eyes of the Essenes. It is well known that Jesus, his parents, and many of the disciples were in fact Essenes. What is not so well known is that the Essenes were in fact Druids that were Jews. Does this make them Pagans? 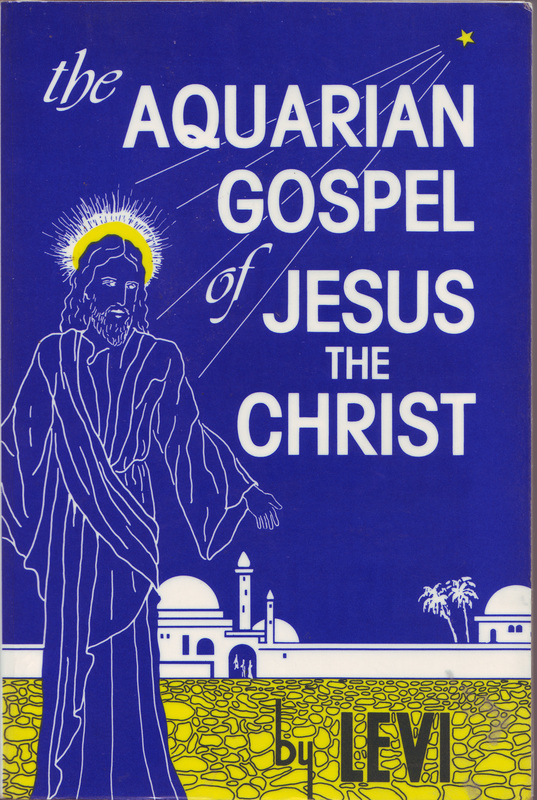 This book also deals with revelations, and other gnostic works within Christianity. ISBN 0-86215-448-4 by Bath Press. Bath U.K. This book reveals the truth about the attitude of the Mainstream Churches to Homosexual, Bisexual and Lesbian marriages up until the 15th century. Listed within are several of the rituals and services of marriage for these three groups of people within the Anglican, Roman Catholic and Orthodox Churches. At this time there was little if any bigotry about what we call GAY people. This shows how often society, not religion changes the opinions of the church, when the church should be upholding the truth and showing compassion and understanding. ISBN 0 00 686326-4 By Fontanna Press. The Cosmic Doctrine by Dion Fortune (Violet Firth). 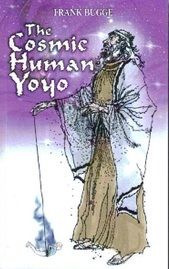 This book describes the creation from the psychic point of view. This is an amazing book and while it is deep to wade through, it will give more insight each time you read through it. It is informative and makes sense of mystery. It describes the actual construction and forming of the Trinity, which is the basic God energy that controls all. It is a book only for those who are very serious about delving into deep study of the principles of reaction within the Creation. IBSN 0 85030 194 7 - Available through Amazon online. This book describes the principles of Re-incarnation and also lists just a few of the many incarnations of Archbishop Frank Bugge going back through Atlantis, ancient Egypt and other places, to even further beyond any recorded history. It also gives a chart of exactly where the Soul lies in our divine being of our Spiritual consciousness. There are several brief descriptions of the time spent between incarnations, and an overall description of the full process. As one reads through this book, you will get the feelings and the reactions of changing genders as we change from lifetime to lifetime. Also there is much of the visions during these lifetimes that will certainly NOT concur with history. The author contends that many are the assumptions of the academics that are convenient to fit their limited facts, and therefore many are the mistakes they have settled on and accepted. One very wise man once said --- "HISTORY IS THE LIE THAT ALL GOVERNMENTS OF THE DAY AGREE UPON. The Author states "I have no doubt that most of the academics will surely not agree on this and condemn this statement, but in the words of Pontius Pilate --- What I have written I have written. Gerald Gardner is a fully initiated witch who was also a priest in the lineage of a church that was to become the Catholic Apostolic Church of Antioch. His Apostolic lines are genuine and cannot be disputed. This book shows that "GENUINE" witchcraft and Christianity CAN be harmonious. Now so many of the myths of evil witches ( Witch actually meaning Wise woman) can be put to bed as simply the imagination of Hollywood, or fear based ignorant primitives. Also recommended is the book by Philip Heselton's that was the fore-runner to this book --- "WICCAN ROOTS". Both books are available at Capall Bann Publishing U.K. 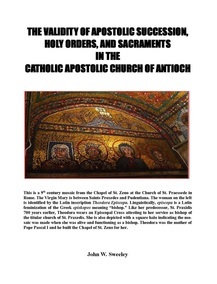 The Validity of Apostolic succession, Holy Orders, and Sacraments in the Catholic Apostolic Church of Antioch - by Monsignor J Sweeley. Mons Sweeley has investigated and left no stone unturned to get to the roots of the beginnings and the subsequent moving down through the centuries of this question of Apostolic succession, and how (if at all) female lines have any affect on the succession. I am rather doubtful that there is any question that could be asked on this subject that Mons Sweeley's book will not touch on, for such is the depth of his investigation and research. Any man, and especially any woman having doubt about succession will find this informative and will relieve any doubts to their mind about the genuine lines within the Church of Antioch. Nothing is doctored or twisted up to give an impression in any direction. The facts are presented openly and honestly, and then you decide for yourself. This is always the approach by Mons Sweeley to refrain from forcing his personal opinions upon any person. Truly a book full of little known facts about Apostolic information. Published by Blue Dolphin publishing. This book is a must for those who would seek information of the mystical side of Christianity. Rudolph Steiner is a well respected Author who has much information to give to the student of religious mysticism. There are explanations of some of the principles the "MIRACLES" of Jesus in a language easily understood. Rudolph Steiner has been acknowledged by all major Universities as one of the great minds in the religious Mysticism field. This would be the best book available that describes the actual spiritual events that occur during the Eucharist. Charles Leadbeater was one of the most brilliant clairvoyants at the turn of the 19th and 20th centuries, and he accurately records all he sees during the performing of the Mass. The accuracy of this book has been vouched for by so many other psychics, (including some of the present Australian Church of Antioch Clergy), and they join in with the others to commend the quality of this work. One minor statement about women's ability to be celebrants that Leadbeater made in this book, is no longer relevant, and Leadbeater did himself acknowledge that this information would in the very near future be redundant. This has proved to come true with the Church of Antioch USA. and Australia both having gained true lines of female succession in 1987 that are perfectly in balance with the male. Available through all theosophical bookshops. Please be aware that the new editions have deleted the section on the robes, croziers, etc. For information on these, contact us for a copy of this section of the old edition.